Chinese telecoms giant Huawei is facing charges of theft of American intellectual property. It stands accused, amongst other charges, of stealing a novel idea from T-Mobile in 2012: a cellphone testing robot called Tappy. According to the U.S. Department of Justice, Huawei even offered bonuses to employees who stole confidential information from rivals. Following the arrest of executive Meng Wanzhou, who's also the daughter of Huawei founder, in Canada, the U.S. was reportedly planning on upping the ante in its fight with the Chinese giant. It's now landed its first blow. Huawei hadn't responded to a request for comment at the time of publication. 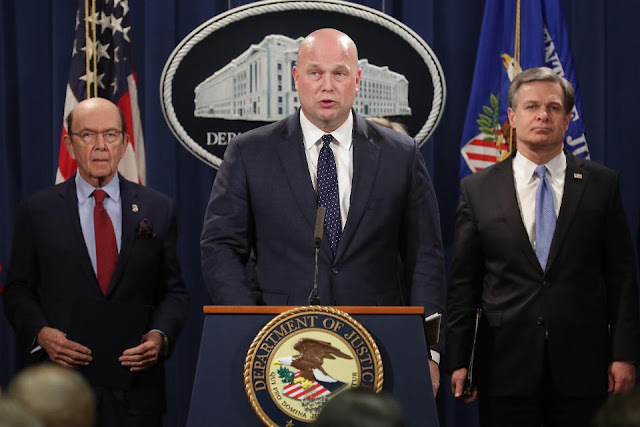 "As you can tell from the number and magnitude of charges, Huawei and its senior executives repeatedly refused to respect the laws of the United States and standard international business practices," said Christopher Wray, FBI director. "Huawei also intentionally and systematically sought to steal valuable intellectual property from an American company, so it could circumvent hard-earned, time-consuming research and gain an unfair market advantage." Much of the detail in the indictment against Huawei revolves around previously-known allegations that the company attempted to steal information from T-Mobile. According to the DOJ, the lengths Huawei went to pilfer the idea of a phone-testing robot called Tappy were extraordinary, ranging from secretly taking photos of the technology to taking its measurements. In one instance, the DOJ said Huawei staff even stole a piece of the robot in order to take it home for replication. When T-Mobile sued, Huawei claimed rogue actors were responsible. But the DOJ claimed it was able to get its hands on emails showing that Huawei encouraged staff to steal other companies' IP, giving them an encrypted email to send such pilfered information. infrastructure." The Trump administration is reportedly attempting to convince allies to avoid using any Chinese technology within 5G networks, as next-generation telecoms are deployed across the globe. China said over Christmas that indictments related to other accusations around IP theft via cyberattacks had seriously damaged relations with the U.S. It also called for the release of Wanzhou.